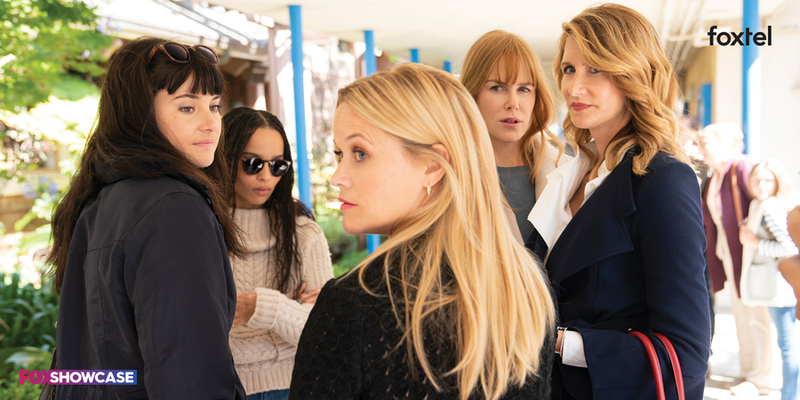 The trailer for the new season on 'Big Little Lies' - season two, and hotly anticipated. And YEP - Meryl Streep has joined the cast, and oh my gosh we cannot wait! 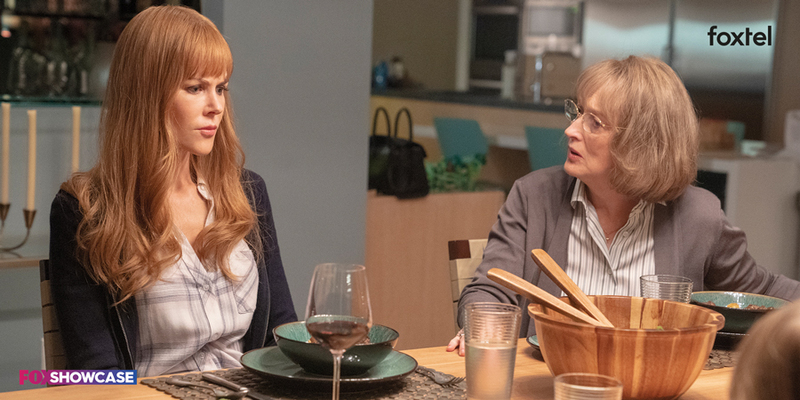 “We’re kidding ourselves if we think people will to stop talking,” says Celeste (Nicole Kidman). Ya think? For sure. Season one was a ratings phenomenon - it took home eight Primetime Emmy Awards, including a win for Kidman. Season two drops into your Foxtel viewing schedule in June, on Fox Showcase. And three-time Academy Award winner Meryl Streep has joined the stellar cast. Reese Witherspoon, Laura Dern, Shailene Woodley, Zoë Kravitz are back of course too! The ‘Monterey Five’ as they're called, are followed in this new season, after the death of Celeste’s (Kidman) abusive husband, Perry (Alexander Skarsgård). “[It’s] like we all have scarlet letters on our backs,” says Jane (Shailene Woodley). Enter Mary Louise Wright (Streep). Crystal R Fox also joins the cast as Bonnie’s (Zoë Kravitz) mum Elizabeth, and Mo McRae plays second-grade teacher Michael Perkins. The show has a new director too: Andrea Arnold (from 'Transparent') takes over as director. 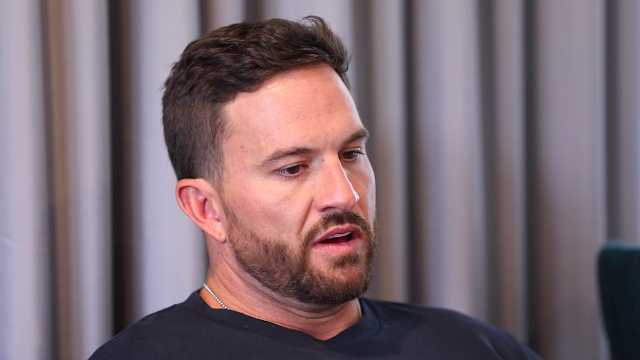 Dan from MAFS has split from Jess from MAFS. We are on first name basis people, and acronyms ONLY because we are TOO BUSY STILL talking about 'Married At First Sight', I mean what are you gonna do. We are still coming down from the utter high of seeing people we don't know 'marry', break up, fight, get back together, get it onnnnn. Okay, enough of this crapola. Are Dan and Jess still together? Straight from the horse's mouth. Dan, that is. It's a no from him. In a sit-down filmed interview (see below) obtained exclusively by Yahoo Lifestyle Australia, the 35 year old father of one says he broke up with Jess after their heated exchange on 'Talking Married' (did you see it? Shittttt! CLICK HERE to watch - go to 12 minute mark for 'that bit') on Monday night, following the MAFS finale which saw Dan discover (at the same moment we did, well, give or take a few months of pre record) Jess’s flirty propositioning to Nic Jovanovic (Cyrell's 'ex'). Dan Webb and Jessika Power: over. As you can see, Dan says he has feelings of “regret about ever meeting Jess”. Dan’s interview contradicts claims made by Jess earlier this week on her KIIS radio interview earlier this week, saying they were "working through things." “Me and Jess have split, let’s get that straight. We have broken up,” Dan said today. 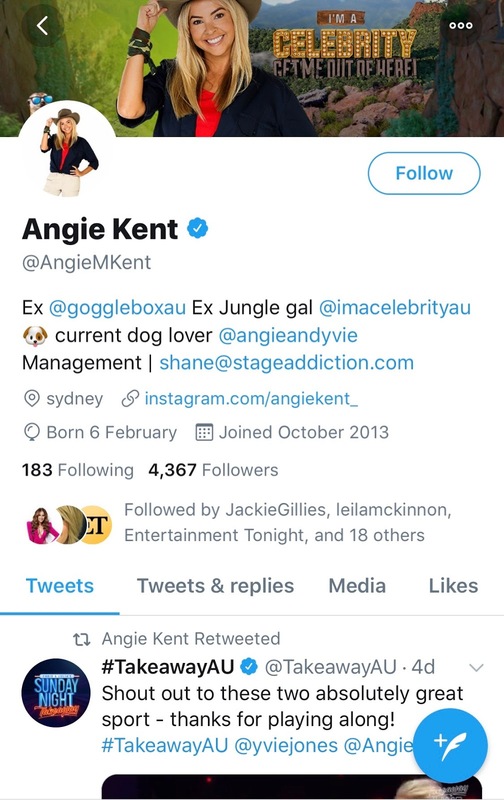 The sweet as Angie Kent (who is clever, witty, and gorgeous) is the new 'Bachelorette' for 2019. As the announcement post says: "From the couch to the jungle, she’s ready to find love." Channel Ten has officially confirmed that Australia’s next Bachelorette is Angie Kent, who you'd know as one half of the very popular Gogglebox duo Angie & Yvie. 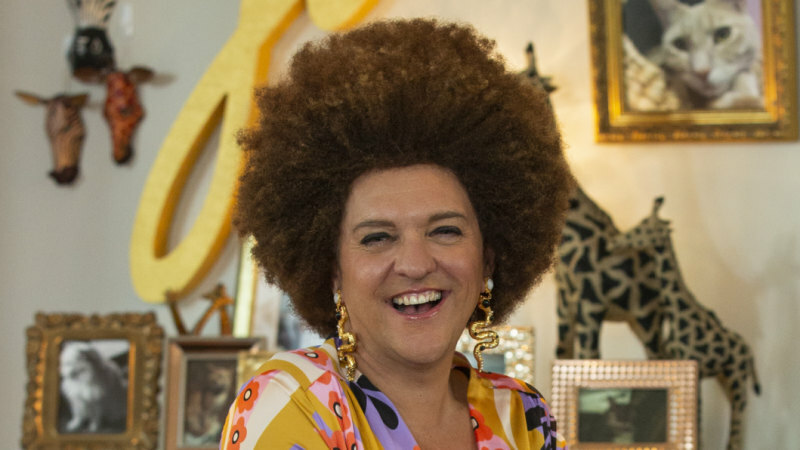 (We also REALLY heart Yvie, after years of seeing her on said 'Gogglebox' and meeting her on 'Studio 10'. Amy Schumer told Seth Meyers on his show 'Late Night' the reason she revealed her husband Chris Fischer's autism diagnosis, as seen in Amy's new Netflix comedy special 'Growing'. "We both wanted to talk about it because it's been totally positive," Amy said, who is pregnant with her first child with Chris. "I think some people resist getting diagnosed… because of the stigma that comes along with it," she said. "But the tools we've been given have made his life so much better and our marriage and our life so much more manageable." 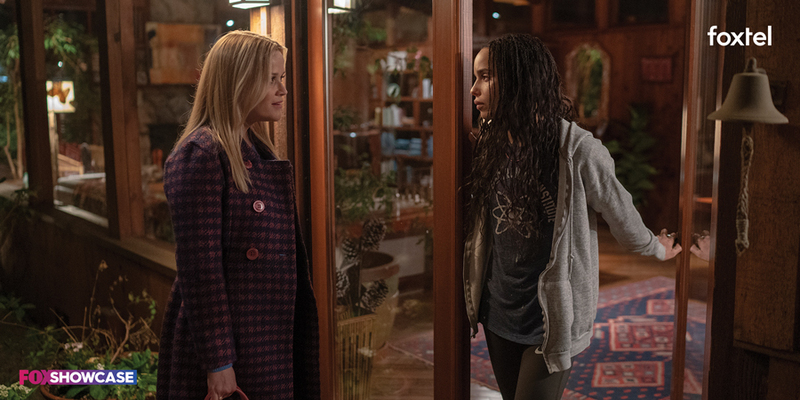 In 'Growing', Amy talks about her marriage and her pregnancy, the fact that Fischer recently found out he has high-functioning autism, aka Asperger's syndrome. "I just wanted to encourage people to not be afraid of that stigma," Amy told Meyers. "I think a lot of people with autism who go undiagnosed when I think their life could be better if they got those tools." Amy also added the same sentiments she shared in her stand-up special when she said it was because of Chris's personality quirks possibly stemming from him being autistic, that she fell in love with him in the first place. "And I wouldn't trade him in for anybody," Amy said, with a heartfelt smile. 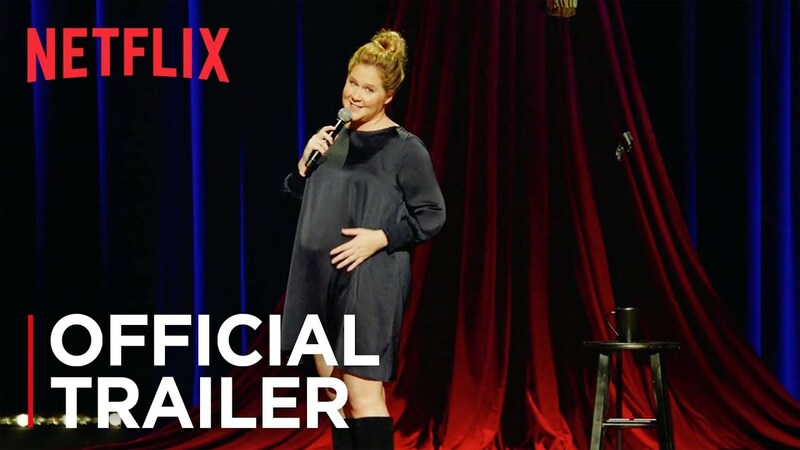 Josie's Juice has just finished watching the Netflix special and we highly recommend it! Plus: we love people with autism, young and old. Watch 'Growing' now on Netflix. 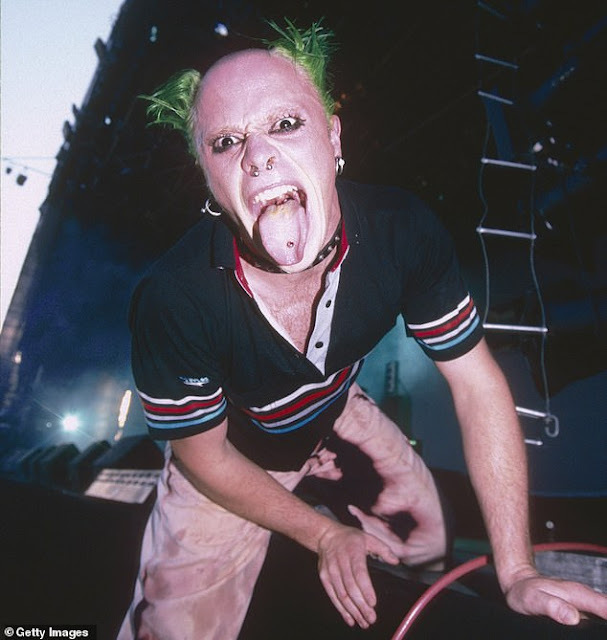 Keith Flint, frontman of the 1990s electronic band The Prodigy, has died aged 49 at his home. Police were called to the singer's home in Dunmow, Essex at around 8am this morning (UK time) following what they called 'concerns for his welfare'. Flint was found dead inside the property and police say they are not treating the death as suspicious. Flint became one of the faces of the Britpop genre in the 1990s with his full on style and punk hair. The band's hit 'Breathe' is STILL one of the best songs - huge fan here. 'Married At First Sight' fan? Single? Ready to... be the topic of discussion in Australian households? Then this is your chance to apply for #MAFS right now! This is not a competition and there is no cash prize up for grabs. Instead, you could walk away with the most valuable prize of all… true love. If you are genuine about finding love and can commit up to 4 months of your life to the experiment, then apply now! 7. If selected for the show you will need to be available for filming from August to December 2019. Want more and you're ready to apply? Forgive me if I took my time in writing this piece while I brought myself up to speed on this whole Jordyn Woods / Khloe Kardashian / Tristan Thompson saga... I am usually up on the whole Kardash / Jenner situazione but this one threw me because 1) I have other things happening in my life, and 2) I was researching that whole Momo Challenge thing... (you can read about that HERE). ICYMI, Kylie Jenner’s former BFF Jordyn Woods (yes, that's right - try to keep up here) finally shared her side of the story - that is, that she moved in on her BFF's sister's partner (have I lost you yet?). 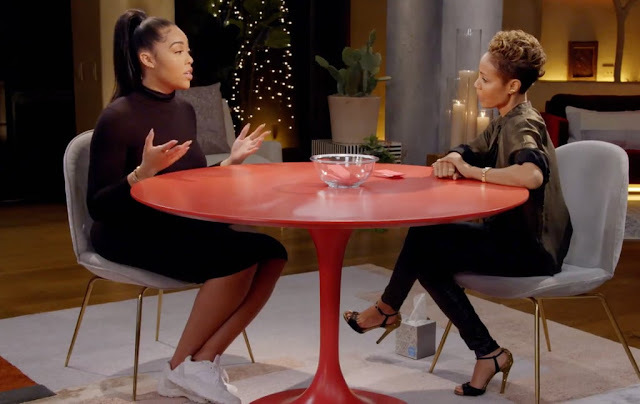 Sitting down with Jada Pinkett-Smith on her show Red Table Talk, Jordyn broke her silence on the Tristan Thompson cheating scandal. That hyper link right there is the WHOLE interview in case you want to watch it. Approx, oh, 28 minutes after it aired, Khloe Kardashian hit Twitter, smashing Jordyn’s story to smithereens. Khloe went hard, accusing Jordyn of “lying” and berated her for going public as a way to “save yourself”. Despite Khloe’s insistence that Jordyn hadn’t reached out privately to apologise to her, Jordyn told Jada the two actually had spoken. “I did as much apologising as I could do over the phone, over text. Until I get the opportunity to apologise face-to-face,” she said. But the model is adamant that’s not the case. 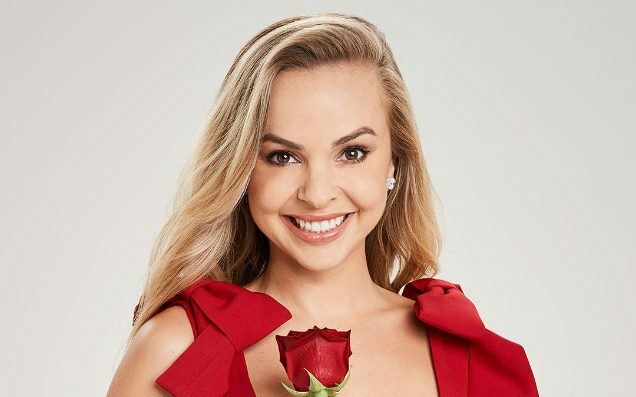 In case you wanna know the details, Jordyn claims Thompson kissed her as she was leaving his house, but there was “no passion” and “no tongue” involved. She also denies spending the night with Thompson. Adding to all the drama, makeup mogul and YouTube star Jeffree Star Tweeted his reaction to the interview with a video about “these idiots”, alleging that Jordyn and Tristan have been together for months. Momo Challenge: what's it all about? What THE HELL is this Momo Challenge? I first heard about it, like many, about 48 hours ago. Since then, the headlines on this ridiculousness have escalated, and have now reached fever pitch. I, in a ROUNDABOUT way, tried to ask my 11 year old daughter if she'd heard about... but didn't want to tell her TOO much. "Mum, I want to warn you about something... but it's something you probably want to warn ME about it..."
Immediately, I knew she was referring to the Momo Challenge. I swiftly proceeded to tell her how crazy and stupid the whole thing is (natural protective defence mechanism in play), and told her the original photos came from random posts about a weird cartoonish but scary figure developed by a Japanese special effects company, and in its full length version it's a half bulging eye woman, half chicken feet arty thing. And then... news that our beloved Peppa Pig was also implicated in this madness? YES! Plus, suddenly: children watching Peppa Pig at risk of self harm? How can this be so? Earlier this week a Twitter user warned parents around the world that “a thing called ‘Momo’” was instructing children to kill themselves and others. In a tweet shared on Wednesday, claims were made that the scary figure appearing during kid’s videos was inciting kids them to self harm or commit violence against their family. It alleged games and Youtube videos were being hacked and harmful messages transmitted to kids. However, experts are arguing the Momo Challenge is nothing but a viral hoax perpetuated by frightened parents AND news outlets. As news of the Momo Challenge spreads, parents have actually shared videos of their terrified children and called into radio stations, claiming the videos are real and the Momo figure is causing some real issues right inside their homes. “Parents please be aware and very cautious of what your child watches on YouTube and KIDS YOUTUBE,” the tweet warned. “There is a thing called ‘Momo’ that’s instructing kids to kill themselves, turn on stoves while everyone is sleep (sic) and even threatening to tell their parents. “It doesn’t come on instantly so it’s almost as if it waits for you to leave the room then comes on in mid show. 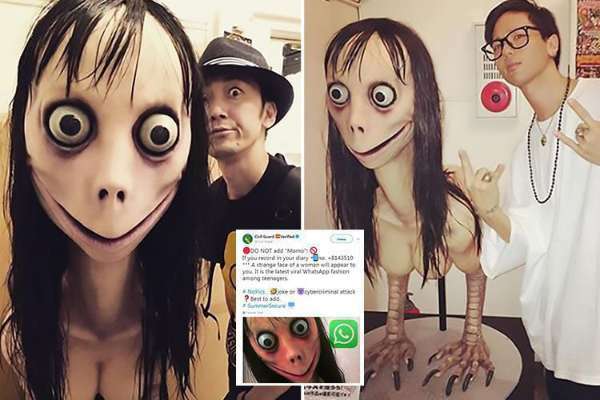 The Momo Challenge is a cyberbullying trend prevalent on platforms like WhatsApp, through which children receive anonymous threatening messages tied to pictures of Momo. But there is no evidence to suggest the phenomenon actually exists. Even mental health groups in the UK are labelling it as "fake news" with a "moral panic" actually spread by adults. Police in Northern Ireland have even suggested the challenge could be part of a wider phishing scam "by hackers who are looking for personal info". There is in fact very little evidence to suggest the viral trend is anything more than unsubstantiated rumours fuelled by media coverage. Yep, like this. But we hope THIS story instead dispels the myths. Even reports the Momo thing was embedding itself into YouTube videos on Fortnite and Peppa Pig are unfounded. The claim (which originated on Facebook) was picked up super quick by social media users, with Kim Kardashian even picking it up, warning parents of the threat on Instagram. YouTube was forced to respond to these controversial claims, noting it had been paying "close attention to these reports". "Despite press reports of this challenge surfacing, we haven't had any recent links flagged or shared with us from YouTube." The Office of the eSafety Commissioner believes parents should be keeping tabs on their child's viewing habits all the same. "Active parental engagement and oversight of a child's online activities is critical from the start, to help ensure they are prepared for what they may encounter," it said. We actually starting hearing about it two days ago on the Kyle and Jackie O show. One mum claimed her six-year-old daughter was convinced to turn on the stove in her home by the 'online monster'. Another mother said her child could no longer sleep in her own bed without crying. “It got to the point that she couldn’t be at home, in her own home, to feel safe,” said another. 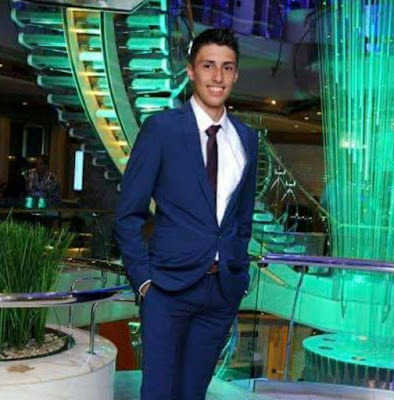 The numerous stories led to Kyle and Jackie O to deem this a “sick maniac” behind the challenge, and to be locked up. Despite the news of “child suicide” and “self-harm”, actual verified incidences of self harm are yet to be confirmed. 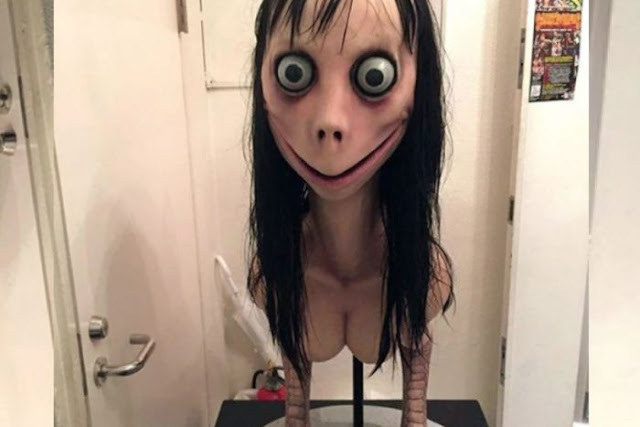 “Contrary to press reports, we have not received any evidence of videos showing or promoting the Momo challenge on YouTube,” a spokesperson said. The Momo Challenge actually started to get attention in August 2018 but has suddenly regained its popularity after being posted online. Support services are available for children and teens at Kids Help Line on 1800 55 1800. Cardinal George Pell has been found guilty of child sexual abuse after a trial in Melbourne. He was once the third most powerful man in the Vatican and Australia’s most senior Catholic. A jury delivered the unanimous verdict on 11 December in Melbourne’s county court, however the result was subject to a suppression order and could not be reported until now. Pell is on leave from his role in Rome as Vatican treasurer, was found guilty of sexually penetrating a child under the age of 16 as well as four charges of an indecent act with a child under the age of 16. The offences occurred in December 1996 and early 1997 at St Patrick’s Cathedral, months after Pell was inaugurated as archbishop of Melbourne. He will be sentenced on Wednesday (tomorrow), having been out on bail since the verdict and recovering from knee surgery. Pope Francis, who has previously praised Pell for his honesty and response to child sexual abuse, has yet to publicly react. However, just two days after the unreported verdict in December the Vatican announced that Pell and two other cardinals had been removed from the pontiff's council of advisers. All along, it has been indicated that Pell’s conviction would result in a likely imprisonment. 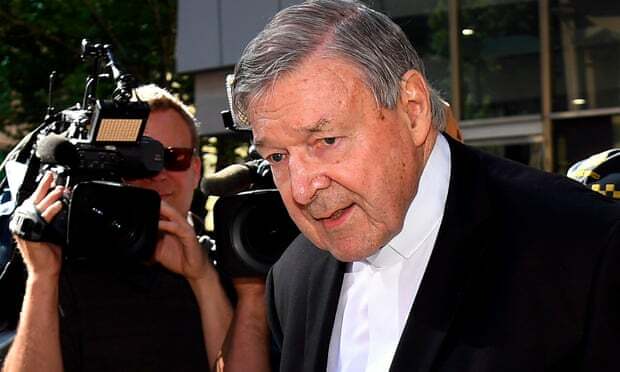 The jury found that in the second half of December 1996, while he was archbishop of Melbourne, Pell walked in on two 13 year old choirboys after Sunday mass at St Patrick’s Cathedral and sexually assaulted them. Pell pleaded not guilty from the beginning. He was interviewed by a Victorian detective, Christopher Reed, in Rome in October 2016, and the video of that interview was played to the court. In that interview Pell described the allegations as “a load of garbage and falsehood”.